Biff's Bit: Why do people think comics are only about superheroes? Biff’s Bit: Why do people think comics are only about superheroes? Last week I had the pleasure of being asked into a local Primary school to talk about comics. I spoke to Years 2,4 and 5. Incredibly, Year 2 had the most complex task set them: to create a comic page of nine panels. My task was to help them create a character and write the speech balloons. These were six year olds. I have to say that the hardest part was getting them to sit still and concentrate for a minute. 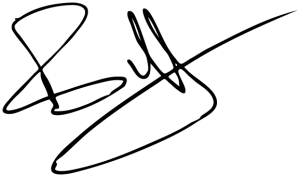 If it hadn’t been for the bell – yes, bell – that I was given, I would have lost all control. If mayhem was breaking out, I just rang the bell and calm was restored. The teacher was there as back up if Biff ‘Daredevil’ Averre totally lost the plot. How these people do this every day is beyond me. I’m convinced I was a help to some if not all the class and it did give the teacher a much deserved rest. The Year 4 pupils were easier to engage with. This lesson was not about creating a comic, but proving to the class that a comic could be used to tell stories that had to impart emotion such as sorrow and loss. The previous week the class had come to a decision that this was not possible. After my visit and a good use of the graphic novel Rosalie Lightning ( Tom Hart’s tale of the loss of his young daughter), not only was I able to establish how comics conveyed a full range of emotion, but a teaching assistant is visiting our store to buy said book. She didn’t realise that comics were about more than superheroes. While I had continued with my lesson plan, she sat and read the first part of the book and was literally moved to tears. A convert won, but how many more people are out there just waiting to be shown the wonders and the value of a good comic or graphic novel. Overall the day was a success with both teachers and pupils having their knowledge of comics and the medium expanded. The one sad thought for me is that having been in the business now for nearly forty years, so many adults still think comics are for kids and most schools will not utilise the power of comics to excite children into learning to read. A few do, such as this school, but they are in the minority. I will soldier on and continue to spread the word. 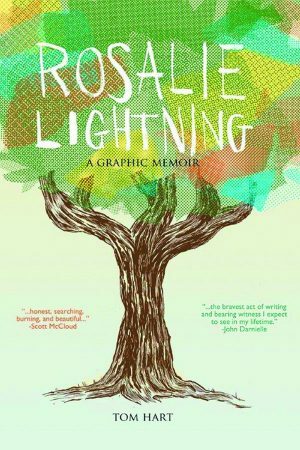 Last note – if you too want to delve into something rich in emotion, seek out the book Rosalie Lightning: A Graphic Memoir. It may be a difficult read, but it is an incredible trip from despair to hope and the value of making every second of our lives count. This really does show what comics can do. Mission for the month: Love the ones you are with. Rosalie Lightning is Eisner-nominated cartoonist Tom Hart’s beautiful and touching graphic memoir about the untimely death of his young daughter, Rosalie. His heart-breaking and emotional illustrations strike readers to the core and take them along his family’s journey through loss. Hart creatively portrays the solace he discovers in nature, philosophy, great works of literature, and art across all mediums in this expressively honest and loving tribute to his baby girl. Hart uses the graphic form to articulate his and his wife’s on-going search for meaning in the aftermath of Rosalie’s death, exploring themes of grief, hopelessness, rebirth, and eventually finding hope again.